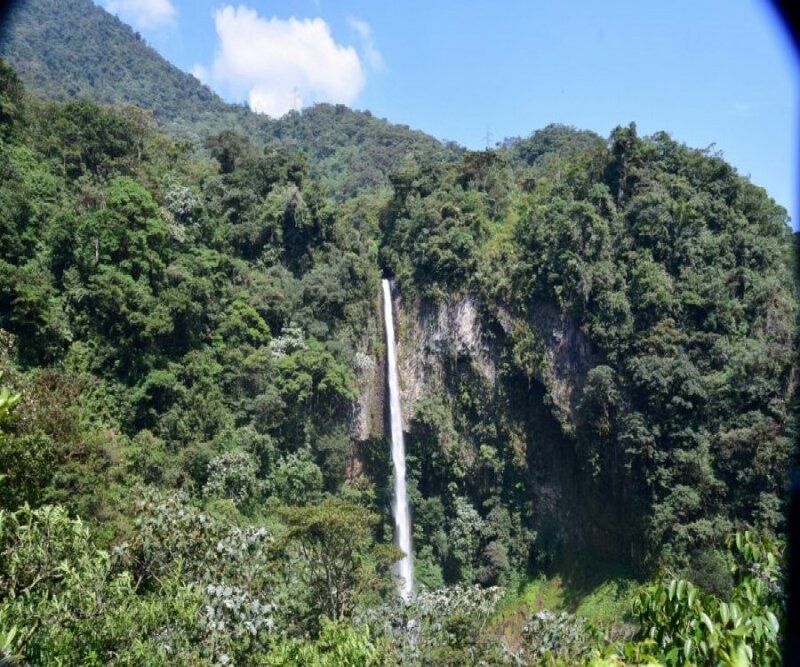 n the route Baños - Puyo to only 35-40 minutes is the Waterfall of Machay, a place that offers an adventure to discover. The entrance is done by a restaurant located in the area of ​​Machay, from there you can access an ecological path where there are butterflies, ornamental plants and multicolored birds. 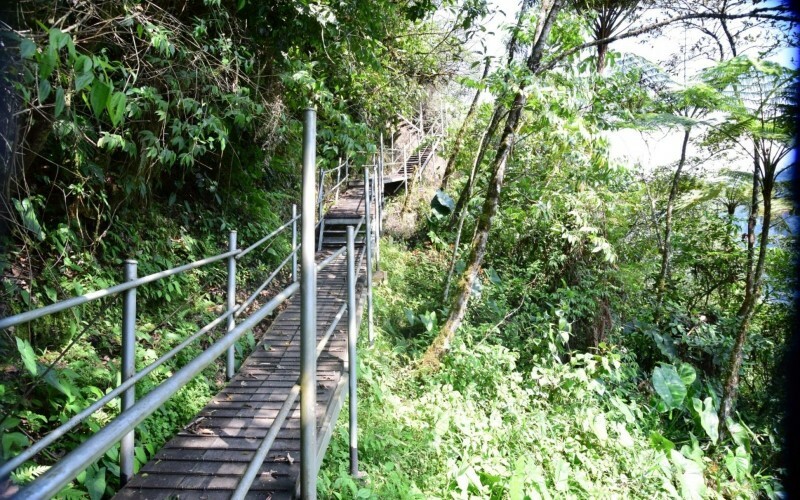 The route to reach the waterfall lasts approximately 20-30 minutes, while descending along the path you will access stairs that has the place. You will enjoy a walk that fuses the rest and pleasure of admiring landscapes full of life and nature. When arriving at the waterfall of Machay, there are some viewpoints to which the breeze of the rebound of the fall of the water of the waterfall arrives. 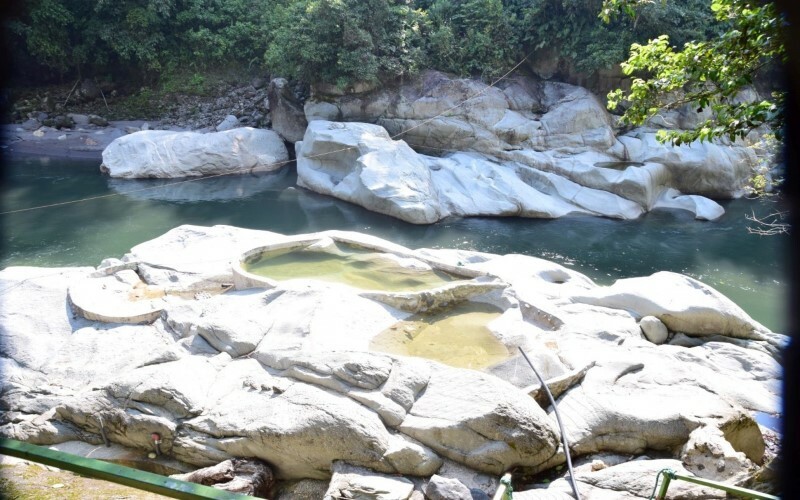 There is also a sector known as ROCATERAPIA, where on the banks of the Pastaza River, natural pools have been built with water from the waterfall. You can enjoy a relaxing bath in crystal clear waters that come from the Machay waterfall. The return requires a little more effort as you will have to climb the path and climb the stairs arranged in the path.